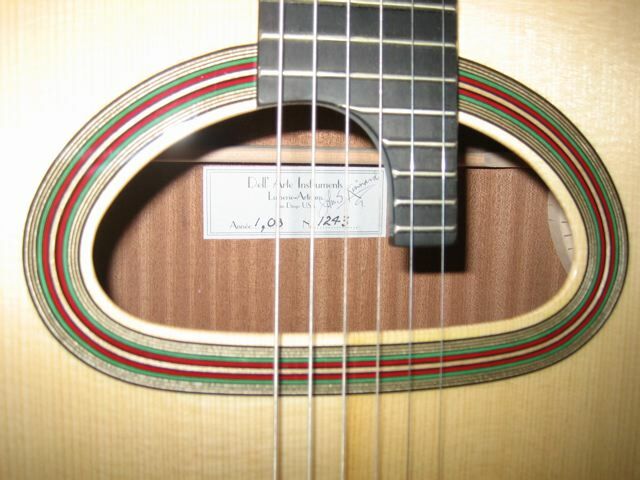 DELL'ARTE OVAL-HOLE HOMMAGE GUITAR WITH CASE MAPLE!!! 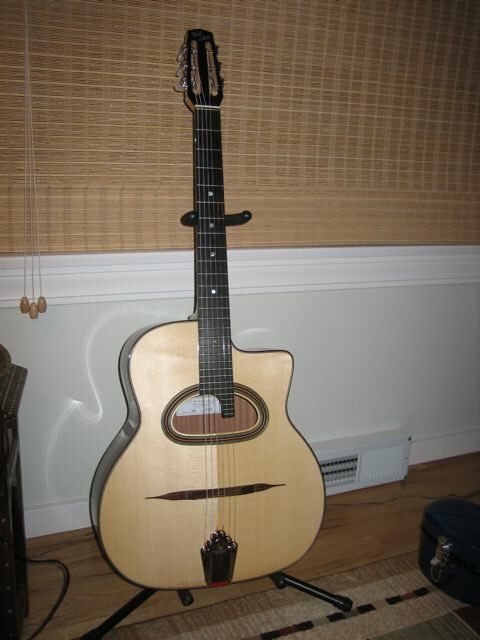 DELL'ARTE D-HOLE HOMMAGE GUITAR WITH CASE Still for sale Sept 2010. I have not been active trying to sell this. But it's still here. I bought this new from Michael Horowitz in 2008. Played it lightly for a short time then found a used Dupont that suited me better. The Guitar is in new condition. It's been safe in the hard shell case for the last year. I believe it's Identical to the one he's selling new. Is the guitar sold ? Would you consider 1750$ plus shipping ? Thanks !